9.33am- Gannawarra Shire Council team tables a bill to the Youth Parliament of Victoria addressing the access and distribution of irrigation water for Victorian farms. 9.41am- Wellington Youth Council lead’s the Government’s rebuttal of the proposed bill. 9.44am- Hon Mem Lodge of the Gannawarra team outlines that there are four different types of water. 9.47am- The number of dead farms is going to increase if this bill is not passed, outlines Hon Mem Widdison. 9.49am- The ecosystem will be disrupted, should this bill be passed, argues Hon Mem Field of the Wellington Youth Council. 9.51am- “Farmers become in debt because of a lack of water,” outlines members of the Gannawarra team. 9.53am- An increase in dams and channels will cause an increase of drownings, argues Hon Mem Cepurso for the Wellington Youth Council team. 9.59am- “I implore the Government to not the let opportunity to do some good slip by,” Hon Mem Laity finishes off his argument. 10.00am- “Where is this water going to come from?,” asks Hon Mem Rowland. 10.04am- “This bill was written awfully for someone like me to understand…I do not understand what some of the clauses are trying to do,” argues Hon Mem Doyle. 10.10am- “Is there a magical puddle of water…I know this is a serious issue but how are we going to get this water,” argues Hon Mem Dunn from the DCA team. 10.14am- “This bill is ill-suited to the state of Victoria,” argues Hon Mem Harry. 10.18am- The bill is being read for a second time, as the speaker departs the house. 10.23am- An amendment to Clause 9 is proposed by the Government, to which Hon Mem Laity labels “redundant”. 10.26am- “The Government has not thought this through,” argues Hon Mem Pilli, in relation to the proposed amendment. 10.27am- The proposed amendment does not pass, and will therefore not be part of the bill. 10.29am- The bill is being read for a third time and has successfully passed through the Youth Parliament. 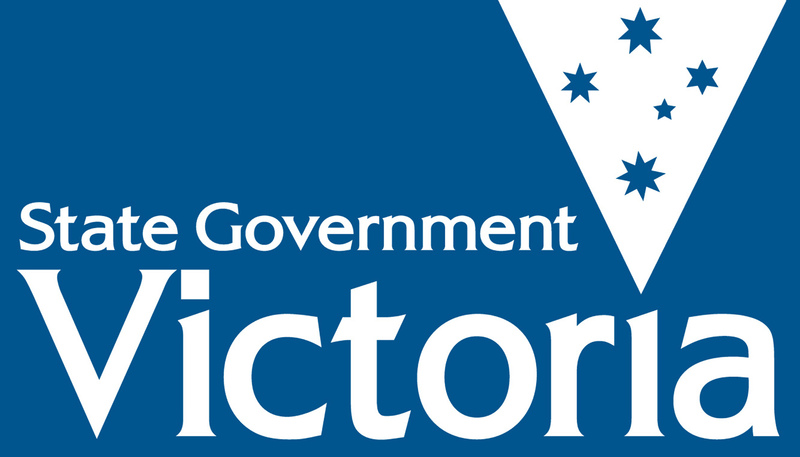 12.00pm- The Legislative Council debates the introduction of a program to alleviate food insecurity in Victorian schools. 12.05pm- The government cautions against stigma created by labelling students “food insecure”. “They could have a target placed on their back.” – Honourable Member Ross. 12.10pm- The opposition asks that the government consider the drop out rates of food insecure children. 12.16pm- Honourable Member Paterson notes that food insecure youths are more likely to skip school, “or drop out altogether”. 12.17pm- The opposition notes that food insecurity can lead to poor mental health, lack of energy and lack of enthusiasm. They also note that in the long term, it can cause type 2 diabetes, malnutrition and a higher rate of mortality. 12.19pm- The government suggests that perhaps subsidising groceries will be a more effective method of combating food insecurity. 12.28pm- “Let’s do something and not just talk.” The opposition call for the government to take action. 12.29pm- The government claims the opposition discriminates against private school and home-schooled children as their Bill outlines a program for public school children. 12.32pm- The government asks what the opposition proposes for those students who do not own a healthcare card. Will they not be eligible to receive the benefits? 12.35pm- Honourable Member Beasley asks what the opposition proposes the Bill will do once the students complete their studies. 12.41pm- “If one child is going to a public school, and one child going to a private school. One gets food and one doesn’t. How is this fair?” – Honourable Member Danks. 12.46pm- The Bill has been agreed to without amendments. 1.51pm- “Currently PTV neglect deaf people”, Hon. Member Steer. 1.59pm- Public gallery is nearly full! 2.05pm- “We want everyone in our society to be included and not segregated”Hon. Member Sara Weir. 2.10pm- “What of those who suffer from visual impairments… visual aids obviously won’t help everyone” Hon. Member Bates. 2.56pm- Honourable Member Fletcher – “Dyslexia does not impair any individual mentally.” The refuting team, Bass Coast, would like to ensure that no one is suggesting individuals with dyslexia are any less intelligent than individuals without. 3.04pm- Honourable Member Taylor argues that under this bill, children with dyslexia will finally have access to equal education. 3.05pm- Honourable Member Gatto questions why, under this bill, the parents of children diagnosed with dyslexia do not have the ability to pull their children out of the problem. 3.09pm- Honourable Member Harry notes that we already have many assistance programs for individuals with dyslexia in Victoria. Is the bill necessary? 3.13pm- Honourable Member Kershaw asks why the opposition have singled out dyslexia to add as a disability, and not other learning difficulties? 3.19pm- Honourable Member O’Bryan notes that people with dyslexia can still succeed, they just “simply learn differently”. 3.27pm- Honourable Member Bates describes his experience of completing school with dyslexia, and the struggles of continuous bullying, and poor teaching. 3.46pm- The bill was passed. Please…what happened to Wonthaggi Secondary College’s Bill? They haven’t appeared in the live feed. Unfortunately there’s been some technical issues, but the team debated very well and their bill was passed almost unanimously!